Dave first started the aviation career as a Maintenance Planner with HAECO in 2000. 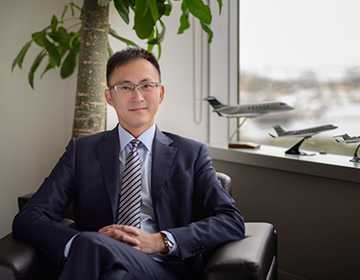 He then leaped into Business Aviation in 2006 as an Engineering Support Manager at Metrojet, a Hong Kong based business aviation management company. During the five years with Metrojet, he was constantly in close relationships with third party customers and aircraft manufacturers. Dave joined Hongkong Jet as Director, Business & Program Support in Jul 2011. He is one of the earliest to join the company and he knows everything there is to know about Hongkong Jet. Applying the synergies in Business Aviation with his invaluable engineering knowledge, Dave has been contributing selflessly to Hongkong Jet from day one. Today, Dave is in charge with even more responsibilities, in May 2016 he was promoted to Chief Operating Officer and in Q1 2017 assumed the BAS Guernsey COO position as well. Dave holds a master degree in International Management from Macquarie University.